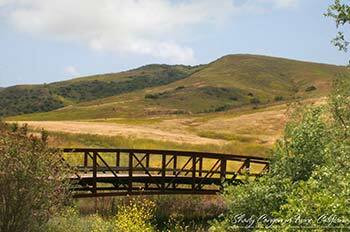 The Irvine Ranch Natural Landmarks is a biodiversity hotspot, home to many indigenous, rare and protected plants and animals. Long-term cattle grazing in the 1800s, urban development, and unnatural fire has disturbed the land’s native vegetation, introduced invasive plants, and threatened sensitive habitat. Habitat restoration re-introduces native plants with the goal of restoring degraded habitat back to its original state – in turn helping the native wildlife follow and thrive. Additionally, removing invasive weeds that steal sunlight and food from native plants directly benefits the local wildlife dependent on the ecosystem. This stewardship of the Landmarks is possible due to the extensive collaboration among landowners and partner organizations (click the logos to the right for more information), and the continued support of public volunteers. Opportunities to volunteer on the Landmarks are available for all schedules and levels of interest – whether you’re looking for a few hours of giving back with your family or a more rugged adventure to remote restoration sites. See below for a list of single-day volunteering opportunities on the Landmarks. OC Parks also has single-day volunteering opportunities available at various regional and wilderness parks; see “Support Your Local Park” below for those programs. 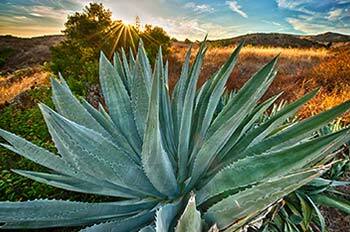 If you’re interested in becoming an Irvine Ranch Conservancy-Certified Volunteer, click here. Click the title of each activity for more information and upcoming event dates. 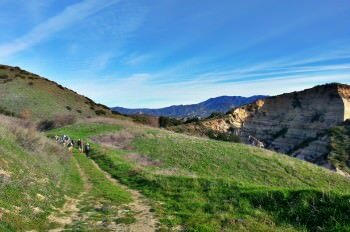 Adopt a Canyon – Agua Chinon Stewardship: Restore the habitat of Agua Chinon in OC Parks’ Limestone Canyon Nature Preserve across four seasons. Adopt a Grassland – West Loma Stewardship: Enhance native grassland habitat along the slopes of West Loma in Limestone Canyon. Be a Friend to the Cactus Wren: Restore habitat in the City of Irvine Open Space Preserve that is crucial to the survival of the coastal cactus wren, a species of special concern. Dripping Springs Trail Restoration: Convert an old ranch road into a single-track trail near a year-round water source in Limestone Canyon. First Friday Habitat Restoration in Buck Gully: Sow seeds and plant native seedlings at Buck Gully Reserve in the City of Newport Beach. Fourth Tuesday Habitat Restoration at Quail Hill: Weed and plant native seedlings at the City of Irvine’s Quail Hill. Pulling Together at Quail Hill: Remove invasive artichoke thistle from the Quail Hill Loop. Restore Wildflowers and Wildlife in Limestone Canyon: Remove aggressive weeds that threaten to overtake native wildflowers at a habitat restoration site. Sahara Mustard Pull at Santiago Creek: Search for and remove invasive Sahara mustard in Limestone Canyon. Second Thursday Habitat Restoration in Newport Bay: Improve habitat for wildlife in Big Canyon, one of several large tributaries in Upper Newport Bay. Tecate Cypress Stewardship: Weed around and water young, rare Tecate cypress trees in OC Parks’ Fremont Canyon Nature Preserve. Weir Canyon Habitat Enhancement: Plant native prickly pear cactus pads in OC Parks’ Weir Canyon Nature Preserve. Activities at the Native Seed Farm vary by season, and can include planting native seedlings, weeding, and harvesting seeds from wildflowers. Click here for a list of upcoming volunteer opportunities at the farm. Grow and care for native plants from seed until they’re ready to be planted at a nearby habitat. The nursery is at the City of Irvine’s Quail Hill Staging Area. Click here for a list of upcoming volunteer opportunities at the nursery. Managing 127 miles of trails is a big job, and the Irvine Ranch Conservancy Field Operations team relies on public volunteers for a variety of rewarding work. From repairing erosion to cutting back trailside vegetation, volunteering for trail work helps keep the trails accessible and enjoyable for everyone. Click here for a list of upcoming trail work volunteering opportunities. OC Parks offers single-day volunteering programs at a variety of local parks. Click the activity title below for more information and upcoming event dates.